Maximize Your Efficiency. All of MaxSpray's products have been formulated specifically for MaxSpray Electrostatic Spraying Systems and the applications range from freshening, odor elimination, getting rid of unwanted insects and beyond. New product development is underway at MaxSpray. Check back for our latest products. We will test your products to ensure they are compatible with air-assisted electrostatic sprayers. Contact us and include your product name(s), intended target(s) and provide the MSDS. If successful, we will build a protocol for your product application to ensure a successful coating. 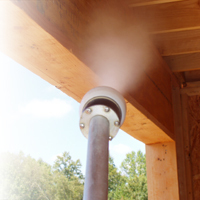 MaxSpray's products are formulated specifically for air-assisted electrostatic sprayers. Our engineers are experts in applying our technology to real-world needs, identifying approved and tested products, and offering comprehensive training in the use of MaxSpray’s sprayers. Let us customize an electrostatic spraying solution for your specific applications.